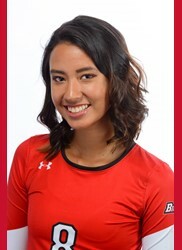 CSUN’s setter has been on fire in her last stretch of games. Last week Makekau-Whittaker registered a combined 40 assists to lead the two-setter team. The junior also posted 10 digs in the team’s win over UC Riverside for her second double-double of the season. Her last three games have totaled 62 assists, her second highest mark in a three game stretch this season. The team has three games left this year, all of which are on the road. 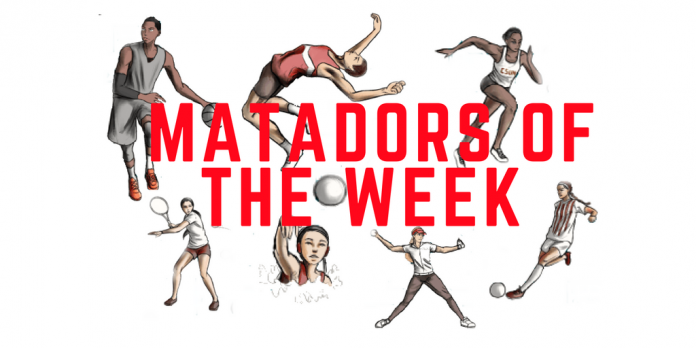 With Makekau-Whittaker’s consistent play the Matador offense should see no speed bumps in the final stretch of the 2018 season. 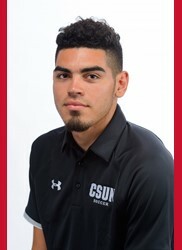 The junior transfer from Fresno City College had a hand in both of the Matadors’ goals in their 3-2 loss to UC Davis in the first round of the Big West Tournament. His vision found Daniel Trejo on the right side of the box, who fed Michael Flores to give the Matadors the lead after 15 minutes. Then, his instincts as a forward pulled his team within a goal after 81 minutes, beating the Aggies’ defensive line to a lobbed ball over the top from Trejo to make it 3-2. Rodriguez nearly tied the game a few minutes later with a predatory header in front goal, but he was called for offside. After his latest contributions, Rodriguez finishes off his debut campaign as a Matador with five goals and four assists to give him 14 points, the second highest on the team behind Trejo’s 25.